For some time now, books aren't just distributed in printed edition, due to the appearance of audiobooks (cassettes with a voice reading the text) and the electronic books. 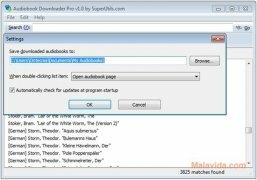 There are many audiobooks available free over Internet, but to be able to find and download those that can be more interesting, it is necessary to use a program like Audiobook Downloader. 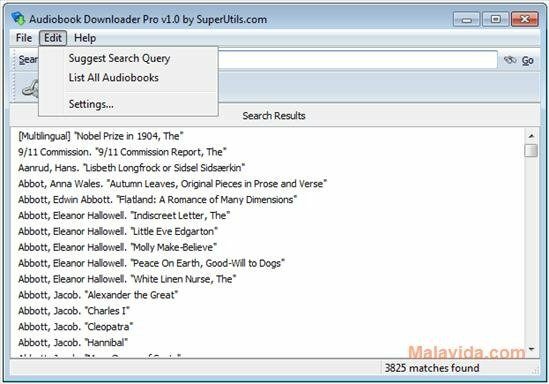 Thanks to Audiobook Downloader Pro the process of searching to see which audiobooks of a certain author are available free is a lot easier. What's more, it offers the possibility to download the audiobook in any of the three formats in which they may be available: MP3 64 kbps, MP3 1285 kbps or Ogg Vorbis. To find the books the application resorts to the two most important free audiobook databases that can be found over Internet, LibriVox and Internet Archive, that include books in English and other languages. 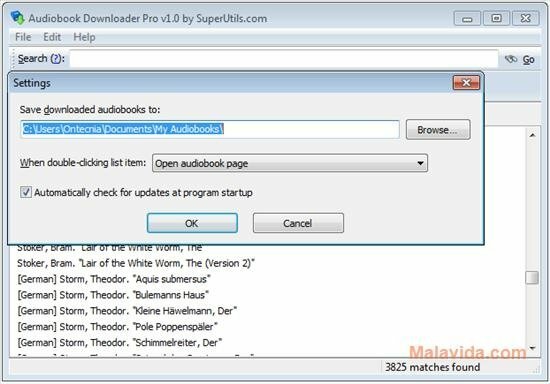 Therefore, if you want to have a program that will allow you to find and download free audiobooks, try Audiobook Downloader Pro.